Mercedes-Benz GLC Boot Space, Size, Seats | What Car? The GLC’s front seats slide back a very long way, so even seriously tall drivers won’t complain about the amount of leg room on offer. There’s plenty of front head room to accommodate anyone long in the body, too, although the optional panoramic glass does reduce this by a few centimetres. Storage space is suitably generous with wide door pockets easily big enough to swallow a large bottle of water, while opening a lid on the centre console reveals two good-sized cupholders. The glovebox could be more capacious, mind. Despite its relatively sporty styling, the GLC has plenty of space in the back to accommodate a couple of six-footers. 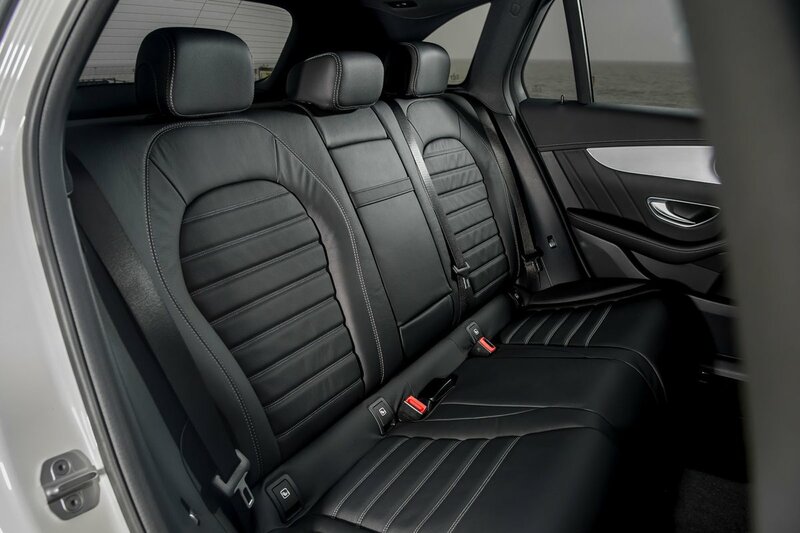 Rear leg room is on a par with the rival Audi Q5, and although rear head room is slightly less impressive (particularly if you’ve opted for a panoramic roof) only those long in the body are likely to be bothered by this. As in many rivals, there’s a chunky transmission tunnel on the floor that middle seat passengers have to straddle, so the GLC isn’t the best choice if you need to carry three adults in the back on a regular basis. Good-sized door pockets provide enough space to stow a couple of small bottles of water. Folding down the GLC’s rear seats is really easy; you flick a switch in the boot (or another in the rear passenger compartment) and the seatbacks drop down automatically. The rear seatbacks also split 40/20/40, rather than the usual 60/40 arrangement, which means two rear passengers can enjoy full-size seats while you carry a long, narrow item. 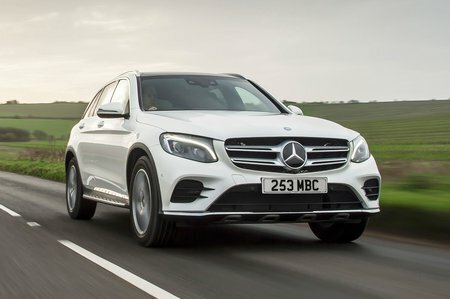 The GLC isn’t available with sliding or reclining rear seats, but all versions have a fully electric front passenger seat including four-way lumbar adjustment. The GLC's load bay is widest at the very back of the car, which means you can slot in long, narrow items, such as a set of golf clubs, easily enough. Folding down the rear seats leaves a virtually flat extended load bay with no annoying steps or ridges. All models come with powered tailgate, retaining nets on the boot floor and a lockable compartment under the floor itself. 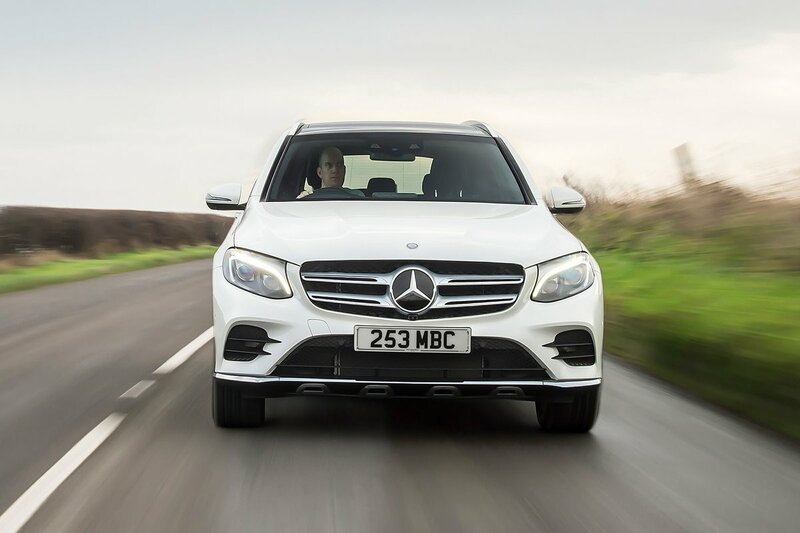 Well-appointed as it is, though, the GLC’s boot is smaller than many of its key rivals. The Audi Q5, BMW X5 and Land Rover Discovery Sport all have bigger boots that will prove more practical than the GLC’s.